Our industry leading presenters will take delegates from the theoretical frameworks popularized in behavioral finance, through an applied learning of the most vigorously validated elements of technical analysis. The Market Technicians Association will hold its global investment conference in Manhattan’s historic financial district April 6-7, 2017. The Symposium will bring together top-performing investment professionals presenting an arsenal of insights intended to provide today’s active managers with the tools they need to outperform in a world increasingly dominated by low fee, passively managed portfolios. New low-cost passive investing alternatives have pushed active managers towards greater efficiency and higher performance standards. Still, one notable fact often overlooked among today’s headlines is that, despite record amounts of money flowing to passive investing in 2016, approximately 60 percent of all institutional money in the US stock market is still actively managed, according to Morningstar. Now more than ever, portfolio managers and analysts need industry-leading insights and tools which differentiate their practice and improve performance. 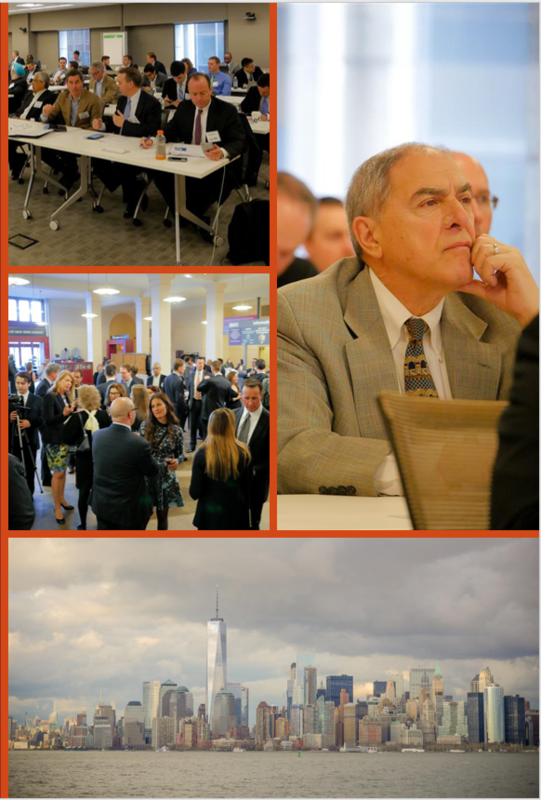 The MTA conference for 2017 will be a tremendous resource for portfolio managers, registered investment advisers, asset allocators, strategists, traders and analysts. The symposium will explore how technical analysis is often the missing component in any actively managed investment process. Attendees will study the ETF ecosystem, market volatility variation, cross-asset correlations, data visualization methods, decision theory, machine learning algorithms, and examine the forces of Price vs. Valuation. This event will be packed with provocative, leading-edge perspectives that today’s practitioners cannot afford to miss. The 44th Annual MTA Symposium will uncover practical examples of how technical analysis adds value to the portfolio management process in the context of both risk management and identifying investment opportunities. “Through insightful panel discussions, breakout sessions and group interactions, our industry leading presenters will take delegates from the theoretical frameworks popularized in behavioral finance, through an applied learning of the most vigorously validated elements of technical analysis,” Said Bill Kelleher, CMT, CFA, who is Chair of the Symposium Committee. Alongside the intensive educational content, MTA officials will present its esteemed 2017 Annual Award and other honors to several industry leaders and practitioners, recognizing their life’s work, dedication and service to the industry. Celebrating the rich history of technical analysis and inducting the 2017 Annual Award winner and fellow honorees is a powerful aspect of connecting members of the global association. “It is a rare and special occasion to recognize the leaders of technical analysis within the broader financial community as well as the tireless efforts of so many volunteers within the MTA. I am honored to be a part of a community making such great strides to advance the discipline of technical analysis,” said Craig Johnson, CMT, CFA, who is the Senior Technical Market Strategist at Piper Jaffray, and President of the MTA Board of Directors. On Thursday, April 6th, registered attendees are invited to join us for an exclusive industry event at 1 World Trade Center. Once guests arrive at the Freedom Tower, there will be an opportunity to tour the observation deck followed by a lavish celebration at the gallery space of Conde Nast. Attendees will have ample time for networking over dinner and drinks. The celebration will be a special homecoming as the MTA was headquartered in the South Tower of the original World Trade Center leading up to September 2001. The MTA honors and thanks Dr. Henry O. “Hank” Pruden for his numerous contributions to technical analysis education, including especially establishing the first graduate level Certificate of Technical Market Analysis at Golden Gate University, where he has taught, mentored and inspired thousands of students and professional technicians throughout his 40-year career. The MTA honors Robin Griffiths, for pioneering the field of technical analysis across the global community and to the broader institutional landscape. Robin's signature "Roadmap" cycle model is a key contribution to the evolution of technical analysis and navigation of investment opportunities. The MTA honors George Schade for decades of service to the organization as a volunteer and his dedication to preparing the organization for its role as a leader in the global investment community. The MTA honors Andrew Thrasher, CMT for his paper "Forecasting a Volatility Tsunami". The empirical aim of this paper is motivated by the anecdotal belief among the professional and non-professional investment community, that a “low” reading in the CBOE Volatility Index (VIX) or large decline alone are ample reasons to believe that volatility will spike in the near future. While the Volatility Index can be a useful tool for investors and traders, it is often misinterpreted and poorly used. This paper will demonstrate that the dispersion of the Volatility Index acts as a better predictor of its future VIX spikes. Reserve your seat for this intensive two-day conference to get fully briefed on the key ingredients that form a successful active investment strategy. Gain expert guidance from the industry’s top performers and best practice insight on navigating uncertain global markets across asset classes. Leave New York with new skills and an expanded professional network, ready to put your knowledge to work for your firm, your clients, and your portfolio. Paul Krikler – Consultant, Krikler Inc. The Market Technicians Association (MTA) is a not-for-profit member association of nearly 5000 investment professionals in over 85 countries. The mission of the MTA is to establish and maintain the highest professional standards among technical analysts by educating the investment community about the theory, practice and application of technical analysis.